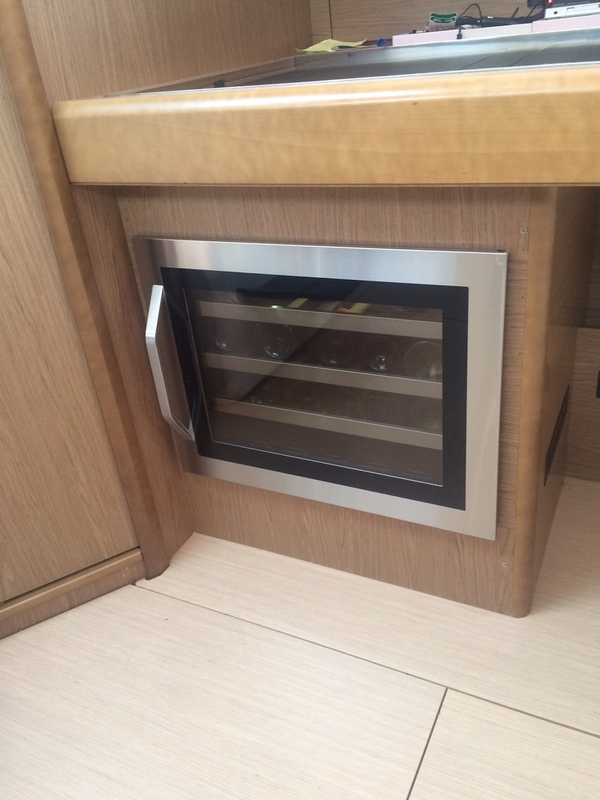 Stylish and seaworthy, Mojo is a 2013 Jeanneau 44DS, a new "deckhouse salon" arrangement. Designed in France and built in South Carolina, the 44DS is a joy to sail and is exceptionally comfortable. Roller-furling sails and two-speed power winches all around make Mojo a great boat for learning to sail. Sheets and control lines are led below the deck to minimize clutter. Comfortalbe cockpit seats and a large, drop leaf cockpit table provide plenty of entertaining space. With it's raised cabintop, Mojo is spacious, very bright, and has a clean, modern appeal. Although compact, the galley has supported catered dinners during charters and the built-in wine fridge helps with entertaining.